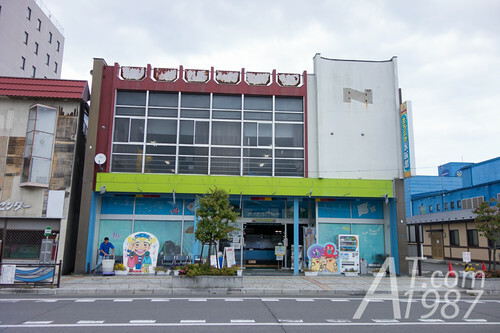 Amachan House is on the prefecture route 281 and not take a long time to walk from the station. 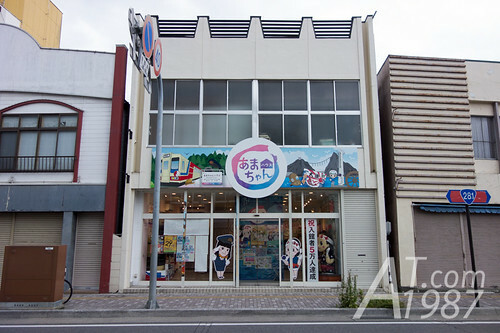 Its opening hours is from 10 AM to 5 PM. This is the reason why I left the museum without seeing inside it. 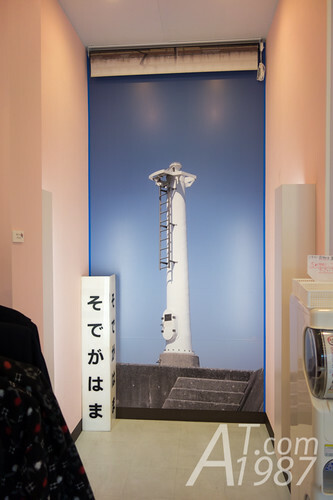 Amachan House is the place where the Kuji related props and materials of Amachan are exhibited. Although the place is small. It can be devided into 4 parts. 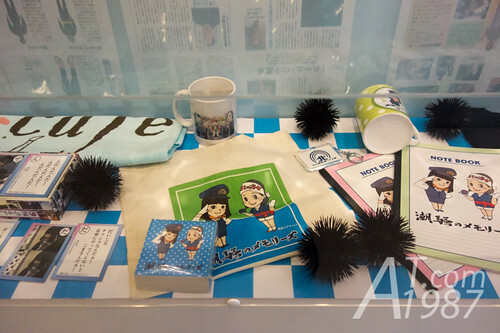 I began with the left side where Kitatestu related props and the folder full of behind the scene photos are shown here. 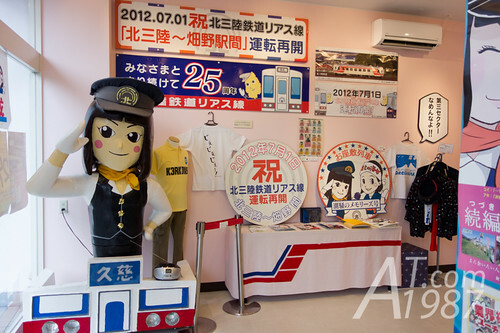 There is a photo corner where you can choose the back drop and dress in Kitatetsu uniform or ama diver dress. 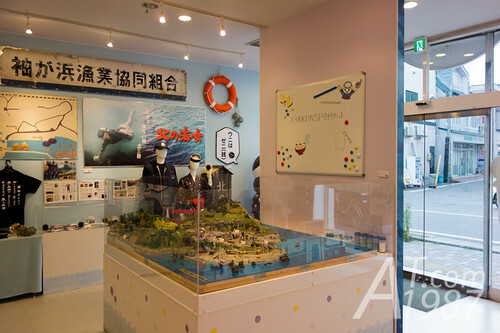 The props and materials related to ama diver are shown on the right. Shiosai no Memories souvenirs were shown in clear box. 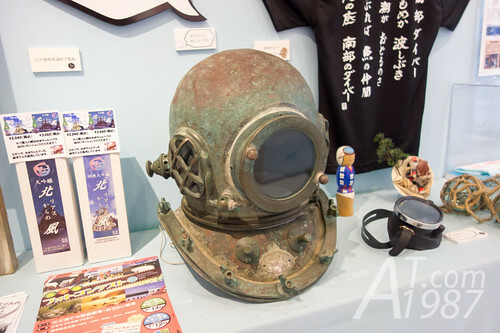 Diving helmet for underwater worker was also shown here. There is a where you come from survey board on the right side. 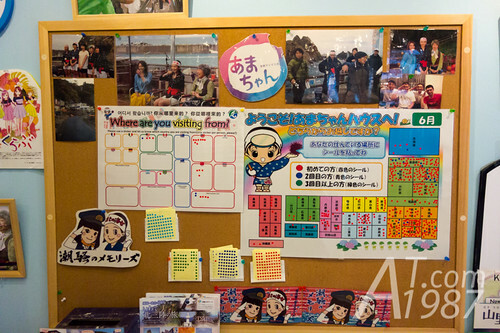 What interests me is it is decorated with behind the scene photos. 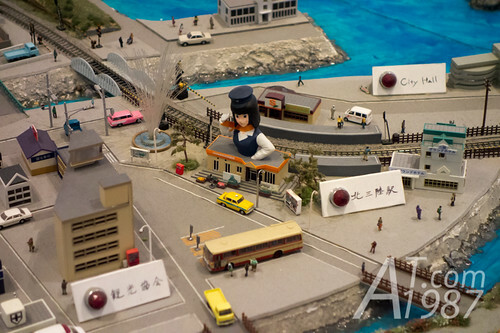 Kitasanriku model, the main highligh of Amachan House, is in the middle of the room. I think it’s the same model use in the drama. The model is full of detail. All important places in drama are included in it. 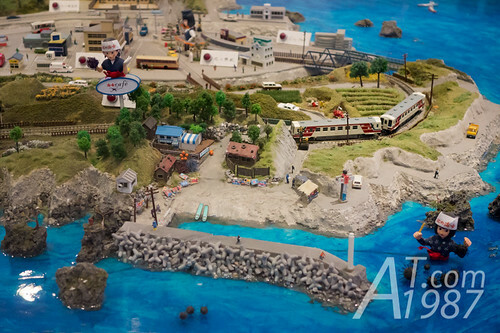 However if you compare the fictional Kitasanriku city to the real live Kuji city, it will not 100% the same. Souvenirs shelf is in the back of the room. 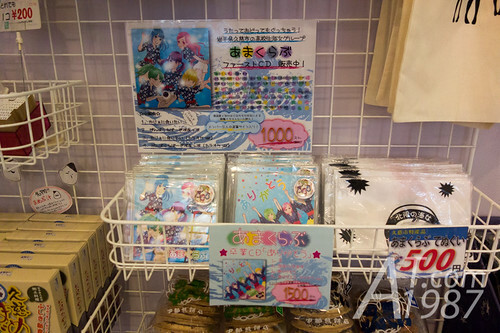 In my opinion the interested items are single CDs from Kuji local idol “Ama Club”. The groups disbanded in early 2015 but you can still by their goods here. I try out both of their singles. I think it’s good and all CDs are signed by members instead of printing artwork on it too. 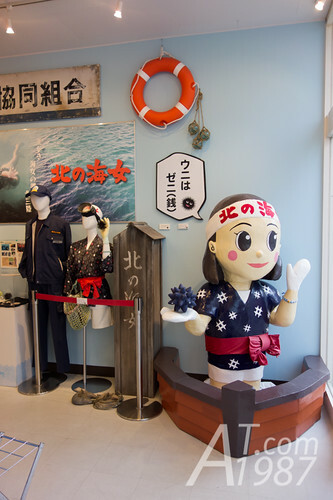 If Amachan House isn’t enough for you, there are Amachan props for taking photo with at Mokuranpia Machinaka Aquarium near Kuji Station. Since I had to get on the train, I didn’t visit it. 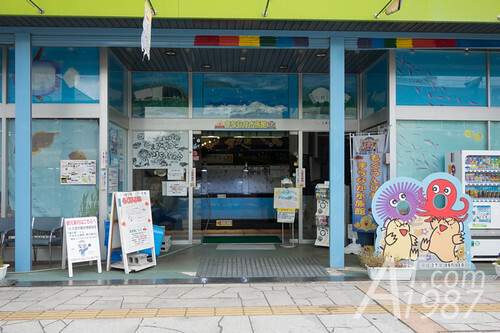 Mokuranpia Machinaka Aquarium is aquarium in Kuji city that is built to replace the damaged Mokuranpia Aquarium in 2011 tsunami. 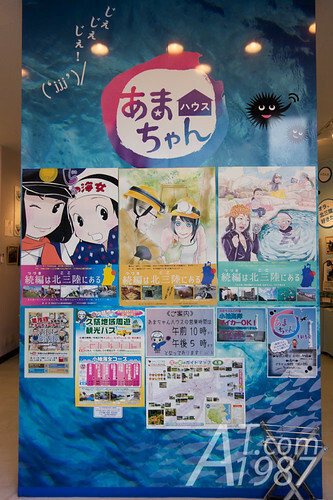 Sakana-kun who is TV personality and fish researcher encourages Kuji city to build the new aquarium and donate his fish to show here. 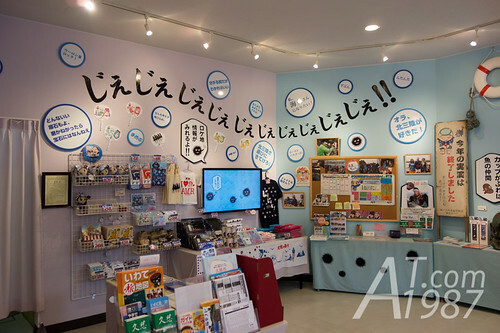 With this post, my Amachan location tour is concluded. But my third Japan trip hasn’t finished yet. Next time I will write about how to travel from Kuji city to Aomori by JR Hachinohe line. Please look forward to it. Thanks for sharing, maybe someday I’ll visit that place too. I can bookmarked the place because this post. Thanks very much.